For many, on a cold night there is nothing better than sitting around a campfire. Although climbing into a warm sleeping bag is pretty tempting. Granted, depending on the size of your tent and the amount of friends you have, it’s probably not as easy to be so communal as the campfire option although I’m sure there are a few people who would debate that though! To campfire or not to campfire – that is the burning question. 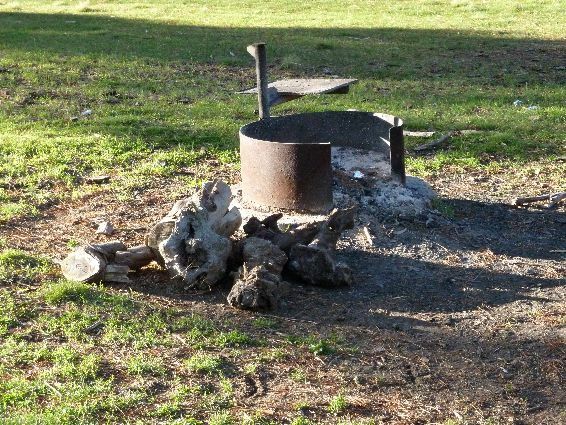 With the recent announcement by Louise Shepherd that the Arapiles Advisory committee were going to recommend that the no campfire season be extended, there were a few unhappy campers voicing their opinions on Chockstone. While Chockstone is not the centre of the climbing universe by any means it can give you some idea of the thoughts that are out there in the climbing community. Light fires only in fireplaces provided. If possible, use a fuel stove. Arapiles is a very small park (1000 acres). There are a large number of visitors (80,000 visitor days/year). A large proportion of those visitors collect wood from the park (despite regulations stating that firewood must be brought into the park). Many visitors have inappropriately large fires with firewood collected from the park. Many visitors make fires in the fuel stove only area, and create dozens of new fire places. Western Victoria has only 15% of land set aside as public reserves. Most of those reserves represent a narrow range of EVCs (ecological vegetation communities), and many EVCs are very poorly reserved. For example, native grasslands and grassy woodlands have been 99.5% depleted from the original 2 million hectares of lowland grasslands of south-eastern Australia. Mt Arapiles has a small but significant remnant of native grassland and grassy woodland. Many grassland, grassy woodland and woodland species are in decline across western Victoria, including birds, reptiles, mammals, insects and amphibians. Biodiversity is compromised and depleted by firewood collection. This entry was posted in Arapiles and tagged arapiles, arapiles advisory committee, campfires by Tracey. Bookmark the permalink.